I have discovered it is the spaces between in the ‘natural world’ which give me the inspiration in life, as an artist and spiritually. Not so much what is in my face directly, though in my face it is. I prefer to be in nature… deep away from the noise of the busy world. It is within these gaps… I am most inspired. As in sitting… It is the gaps between thoughts where the inspirations appear. 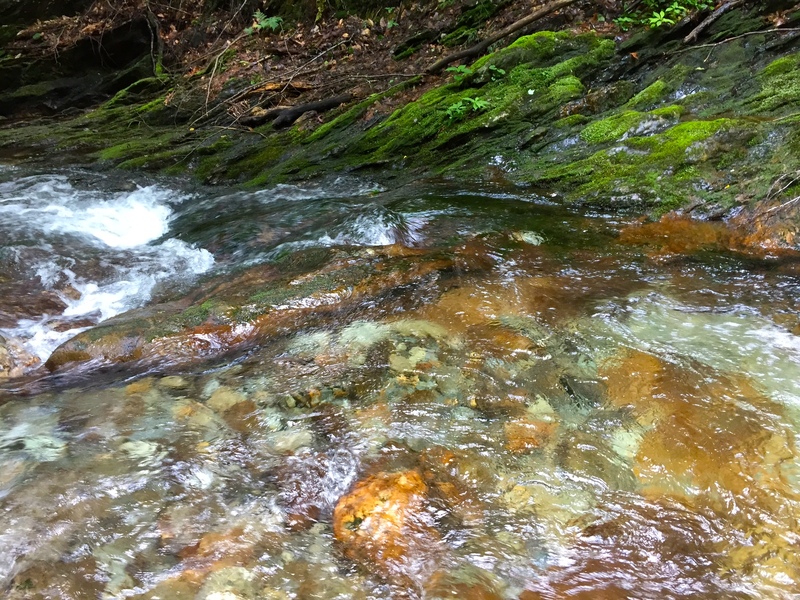 In this picture of a favorite brook in Vermont… I fly in deep… into the flowing brook between the pixels of color. This is the IN-Spiration for my new painting which will be 20″ x 60″ or 51cm x 152cm. I did not alter or photoshop the picture.. I cropped into the photo to expand it and go in.